By sheer volume alone, Raw won this week, with 7 matches compared to SmackDown's 4. SmackDown = Kevin Owens was a plus. The women's segment was a minus, as was the Elias and Vince McMahon thing. Since those are two negatives instead of Raw's one, and the Owens thing wasn't as good as the Zayn thing, Raw wins. This was not a storyline-based set of shows, as everything is just Superstar Shake-up chaos. Raw had a better flow. SmackDown missed out on announcing four trades and still crammed some things in, just because they spent more time on segments that weren't necessary. Raw loses points for the renaming of War Raiders (2 points off for the 2 members, and 1 point off for the team name), as well as skipping Eric Young, having The Usos spoiled in the graphic that popped up when it shouldn't have, and destroying EC3. 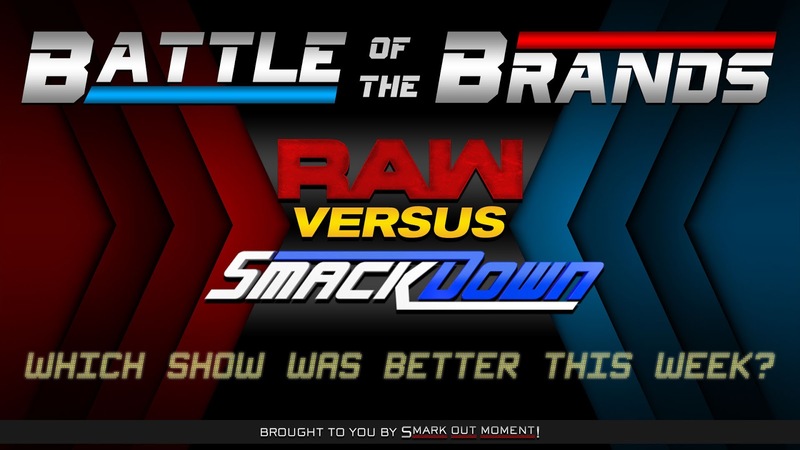 SmackDown gains points for Xavier Woods calling out the UpUpDownDown crew moving to Raw and wanting Tyler Breeze on SmackDown, but loses a point for that not coming to fruition, as well as 4 points off for the 4 people not announced on the show and the lackluster finish to everything.